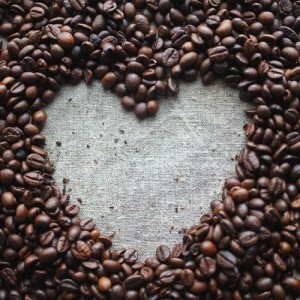 Your local supermarket shares 5 reasons to love coffee. If your great love is coffee we want you to raise a cup of the good stuff to that most romantic of days and celebrate the bean! Here are 5 reasons to ❤️ coffee at your local supermarket! Coffee is chock-a-block full of disease fighting antioxidants. Coffee makes you feel real good! We’re not pulling the wool over your eyes… It’s proven man! A study found that drinking coffee is linked to positive emotions, including pleasure, kindness, affection, satisfaction, friendship, calm, and happiness. Coffee can fuel your workout… A Spanish study, published in the International Journal of Sport Nutrition and Exercise Metabolism found that trained athletes who took in caffeine pre-exercise burned about 15 percent more calories for three hours post-exercise, compared to those who ingested a placebo. Read more HERE. At your local supermarket we serve Atomic Coffee… Those guys are the real deal! They source beans straight from origin in small, freshly harvested lots. That way, they focus on making sure each bean is given the due respect it deserves and is nurtured every step of the way from plant to cup. By dealing with the same farmer co-ops each year, and attempting to increase the number of beans they buy from them, they help build trading relationships that the producers, their families and local communities can rely on. This week spend $40 in store and you can buy a coffee for just $2! For the week beginning Monday 15th February we’ll be offering free upgrades on your caffeine fix (from small to large). Only at your truly local supermarket – Fresh Choice Nelson.